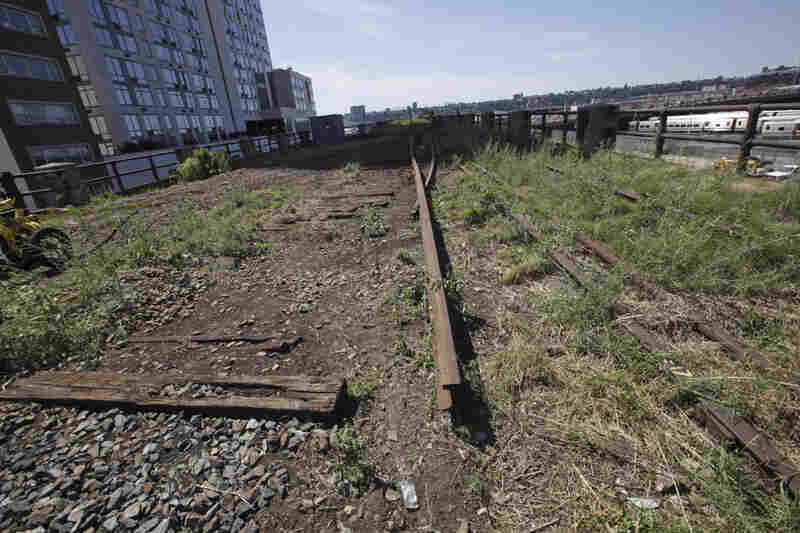 The Inside Track On New York City's High Line A decade ago, residents thought an old rail line above the city was an eyesore and wanted it torn down. Today, it's one of Manhattan's most popular public spaces. A new book gives the inside story of how Joshua David and Robert Hammond saved the abandoned track. The High Line's Wildflower Field stretches from New York City's West 27th Street to West 29th Street. It has native plant species that once grew on the unused High Line as well as new species that bloom throughout the growing season. 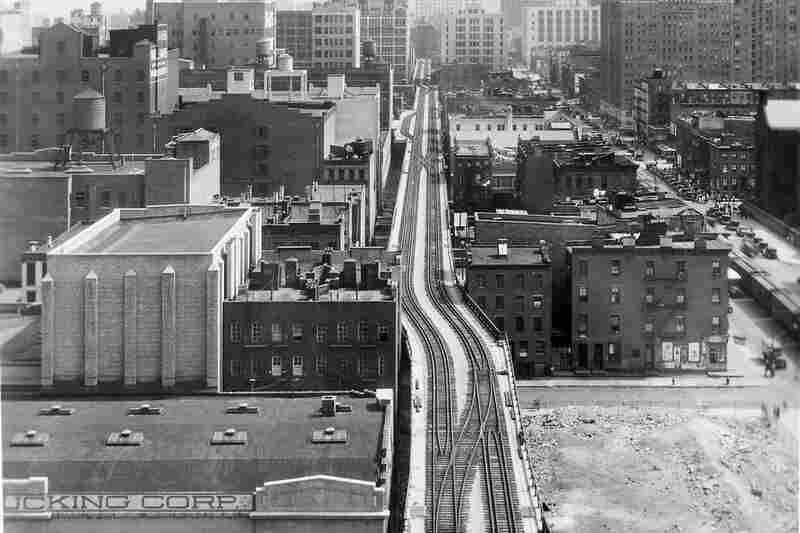 The elevated High Line (seen here in 1953) opened in 1934 in response to public debate about the hazards of street-level freight train traffic. 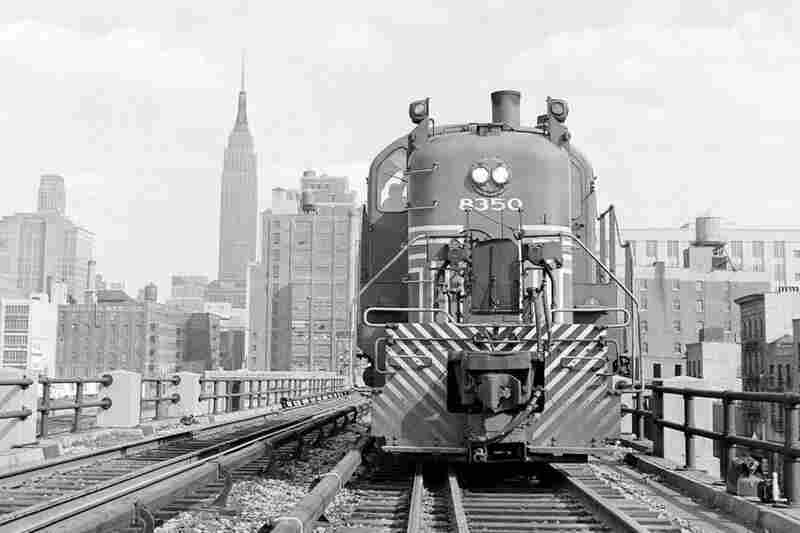 The growth of interstate trucking in the 1950s led to a drop in rail traffic both nationally and on the High Line, pictured here in 1953. The last train ran the High Line in 1980, carrying three carloads of frozen turkeys. 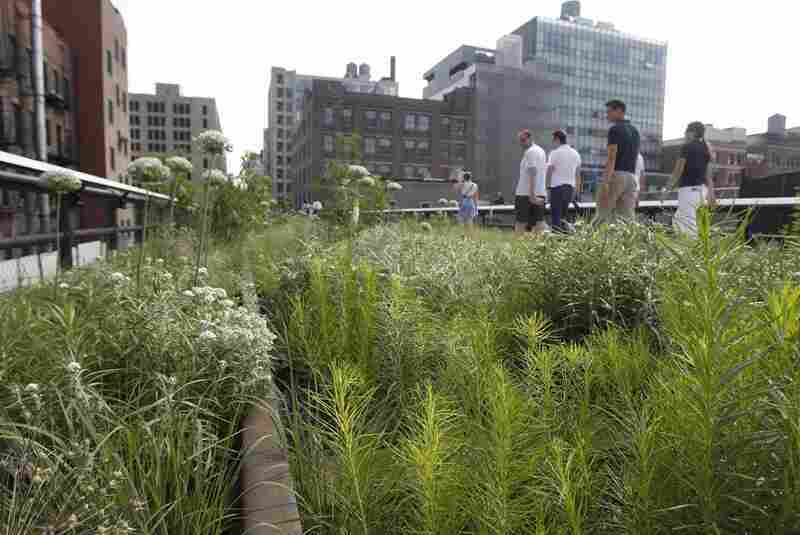 By 2003, the elevated tracks were covered with knee-high grass, wildflowers and rust. The first section of the High Line elevated park — from Gansevoort Street to West 20th Street — opened in June 2009, 10 years after the founding of Friends of the High Line. Located between 14th and 15th streets, the High Line's Sundeck offers unobstructed sun and views over the Hudson River. It's one of the park's most popular gathering places. 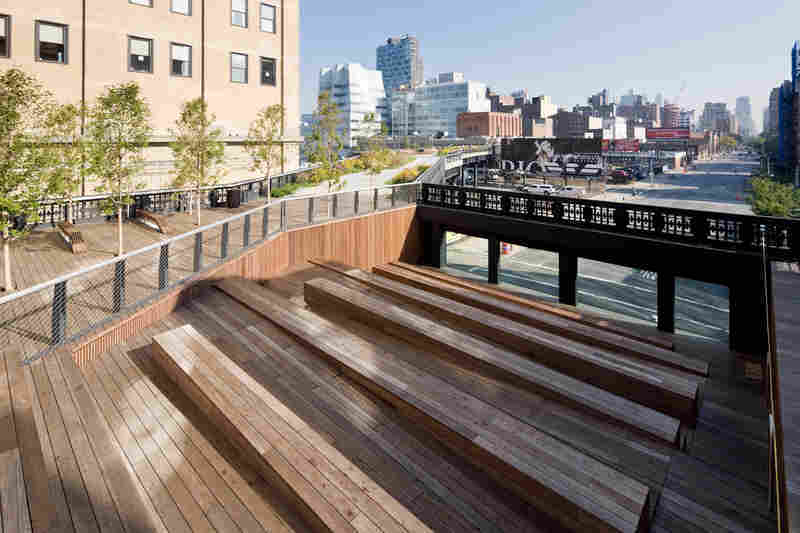 The High Line's 10th Avenue Square features amphitheater-like seating and views of 10th Avenue and the Statue of Liberty. The Gansevoort Plaza and Overlook sit at the High Line's southern terminus, at Gansevoort and Washington streets. The High Line's Washington Grasslands sit below the Standard, a hotel that was built above the historic rail line. 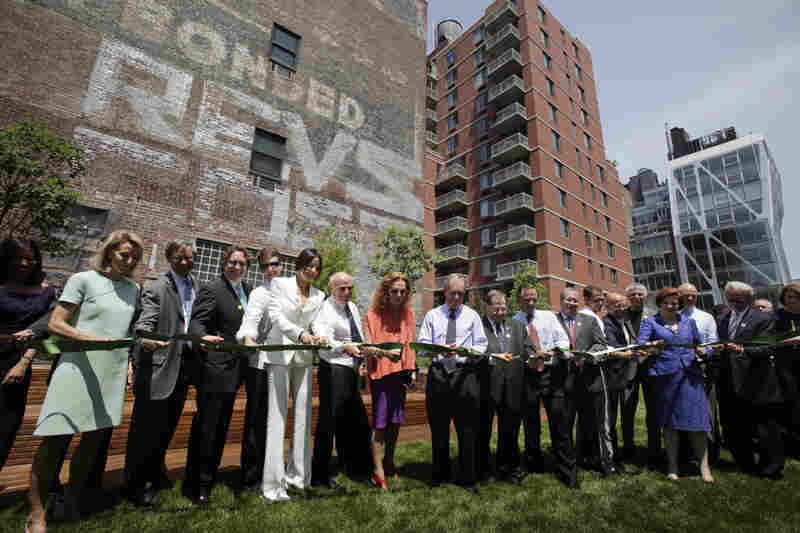 Supporters of the High Line, including Mayor Michael Bloomberg (center), celebrate the opening of the park's second section on June 7. Friends of the High Line founders Joshua David and Robert Hammond cite Bloomberg's election as a turning point in their 10-year effort to save the historic rail line. 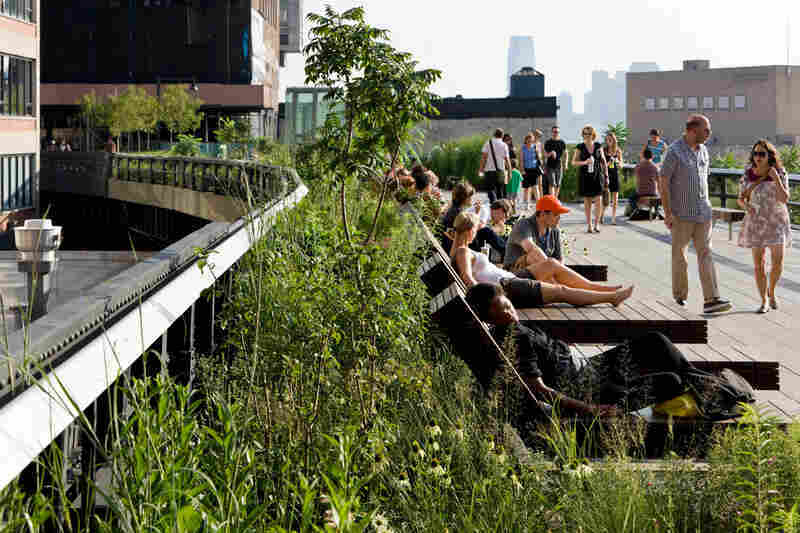 The High Line's second section stretches from West 20th Street to West 30th Street and is home to the park's Wildflower Field and Woodland Flyover. 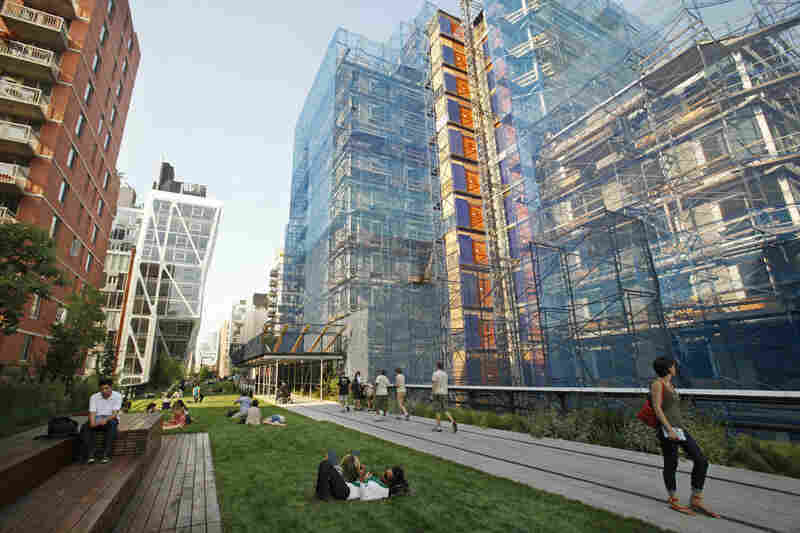 The High Line's only lawn lies in the park's second section, between 22nd and 23rd streets. The historic High Line rails run from Gansevoort Street to West 34th Street, but the park stops at West 30th Street. David and Hammond are currently working to extend the park into the remaining section of unused tracks. In August 1999, Joshua David walked into a community board meeting in New York City's Chelsea neighborhood. 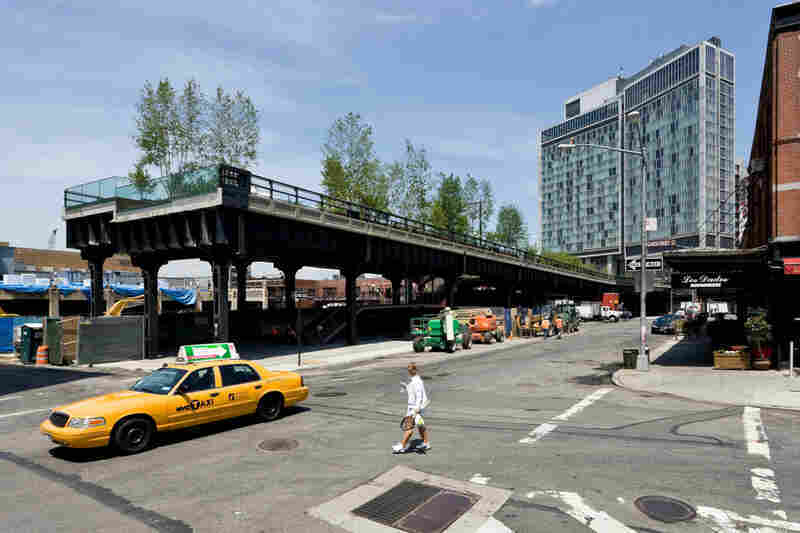 People were debating what to do with an old, elevated rail track that ran through the neighborhood between Gansevoort and 34 Street. It had been abandoned since 1980. Before that, it was built to haul goods into the city's meatpacking district. David thought it was kind of a cool old relic, and he thought other people would feel the same. "I went into that meeting thinking, 'Oh, we'll find some historic preservation group that's all into this,'" David tells weekends on All Things Considered guest host Laura Sullivan. "We'll just give them 20 bucks, lick a few envelopes and feel good about it." But there were no groups. No one wanted to save the old track — except for one other guy at the meeting, Robert Hammond. 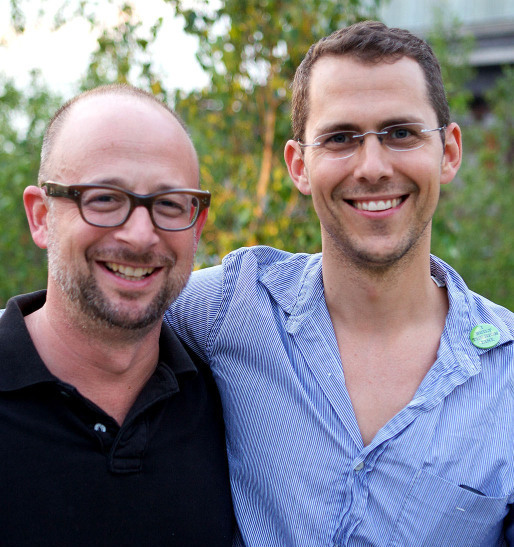 Neither David nor Hammond had ever been to a community board meeting before, but they exchanged business cards and decided to start a nonprofit, Friends of the High Line. With a few more meetings and some fliers, they thought, maybe they could convince the city not to demolish the old track. "My mom asked me, 'What's the chances of it happening?'" Hammond says. "I said, 'You know, 1 in 100.'" It took 10 years of fundraising, permit applications, feasibility studies, and wooing city and state officials, but Hammond and David beat those odds. They tell the story of how they did it in a book out next month, High Line: The Inside Story of New York City's Park in the Sky. Today, the High Line is one of Manhattan's most popular public spaces: a mile-long, modern, high-concept park built on the old railroad track. In the 10 months after it opened in 2009, it drew 2 million visitors and — in a rare ratio for a public space in New York — about half were tourists. Half were native New Yorkers. There are hints in the modern park of the High Line's history: You can see the original rail tracks sticking out from areas of shrubs and trees. These rails date back to the 1930s, when they carried trains loaded with goods into the meatpacking district on tracks that ran along 10th Avenue. The last train ran in 1980. "It was a trainload of frozen turkeys coming into the meat market," Hammond says, "to give New Yorkers turkeys for Thanksgiving." Over the next 20 years, many people in the neighborhood came to view the High Line as an eyesore and wanted it torn down. Many thought it was holding up development of the neighborhood. "Mayor [Rudy] Giuliani really wanted to demolish the High Line," Hammond says. "One of his last acts in office — two days before he left — was signing the demolition order." By that time, Hammond and David had the support of Chelsea's gay and art communities. 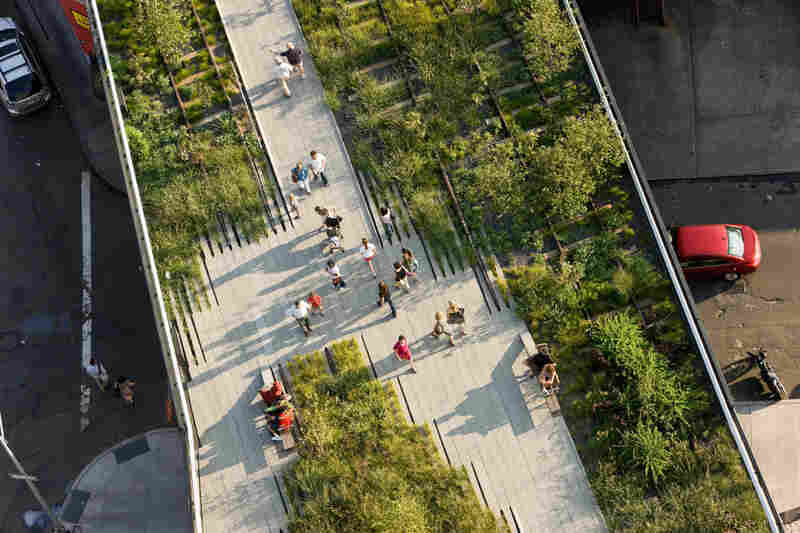 The two eventually gained support from celebrities like fashion designer Diane von Furstenberg and actor Edward Norton, both of whom contributed to a growing list of benefactors funding legal efforts to save the High Line. Early on, no one had any big plans for a park. They just wanted to keep the track around. For Hammond and David, the "holy grail" of saving the High Line was something called a Certificate of Interim Trail Use, or CITU. 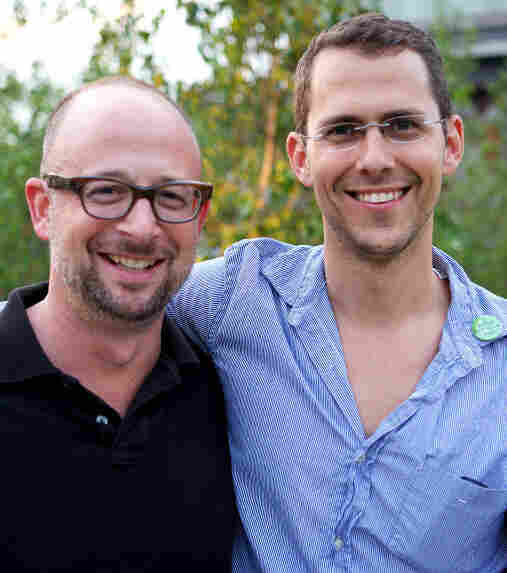 Joshua David (left) and Robert Hammond co-founded Friends of the High Line in 1999 to lobby for the site's preservation and reuse. Issued by the Surface Transportation Board, a CITU allows the government to "bank" out-of-use rail corridors as trails on the grounds that the country might need them again. The term of art is "rail-banking." Without a certificate to rail-bank it, the land beneath the High Line would have been lost to local owners and developers. "We originally thought we could just apply and get one, they way you'd send away for a prize by mailing in a couple of cereal box tops," David writes in High Line. 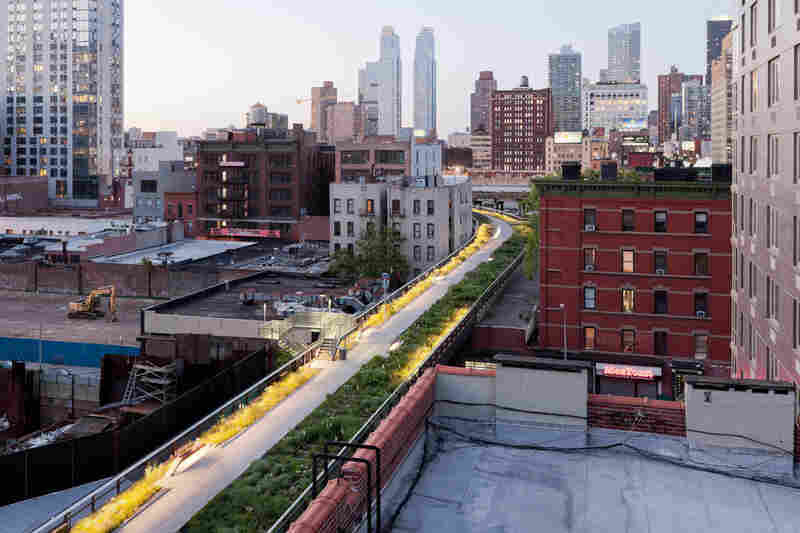 After five years of fundraising, permit applications and even a lawsuit against the city, they had their CITU authorizing development of two-thirds of the full High Line. "Nothing more stood in our way," David writes. "We could break ground." A few years later, Hammond and David were on a roll. They'd settled on a design team to work around a "wildscape" of weeds and wildflowers. They'd secured both city and federal funding, including $18 million that came with the help of then-Sen. Hillary Clinton. If you start at its southern terminus and walk the entire length of the High Line, you eventually arrive at a locked fence at 30th Street. Hammond and David have the combination. One the other side is the final, undeveloped third stretch of the High Line. It goes all the way around Manhattan's west side rail yards. 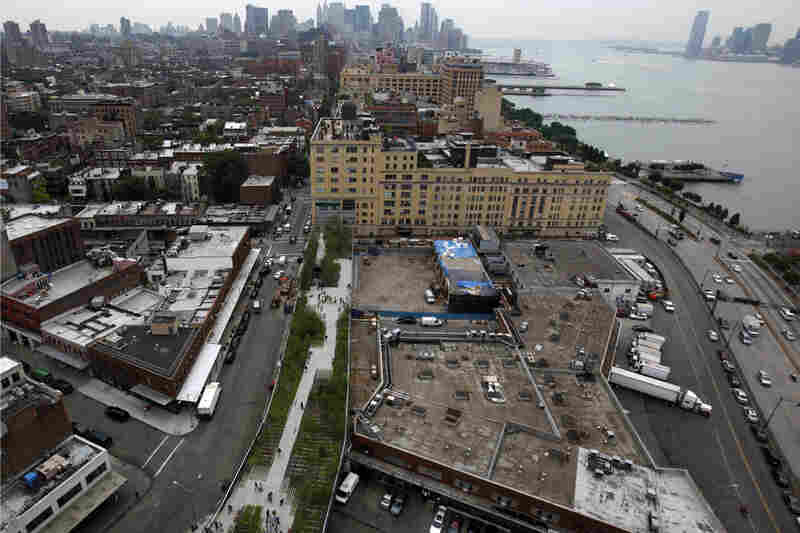 Hammond and David are trying to secure development rights for this part of the High Line. For now, it's just the way they found it years ago: nothing but rusty railroad tracks and waist-high weeds. "To me," Hammond says on a tour of the site, "this was the magic we wanted to save. Like right now, we're alone. It's just us, up here [in] this private garden right in the middle of New York." Hammond says he was always secretly fearful he wouldn't like the new park as much as the old, secret High Line. 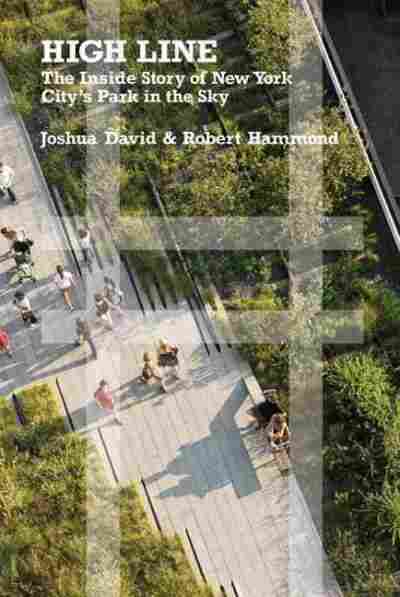 An extended version of Joshua David and Robert Hammond's walking tour of the High Line is available for download via the player below. 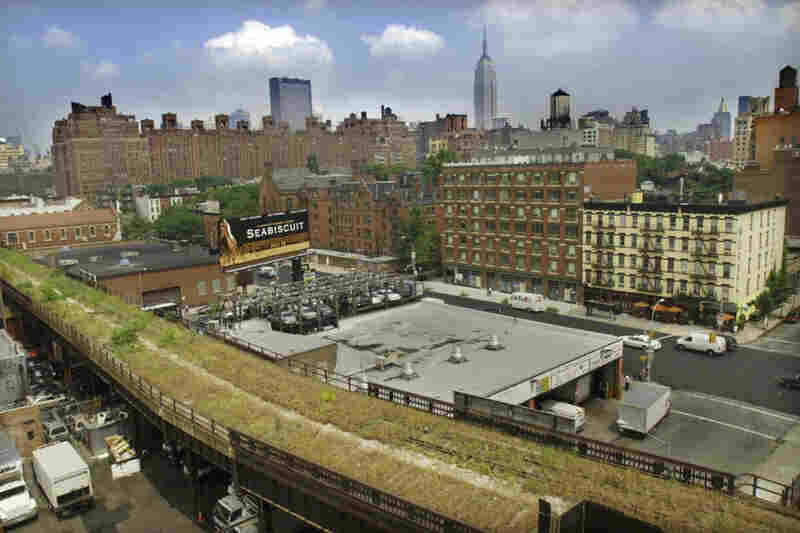 The tour begins as the High Line does, at the corner of Gansevoort and Washington Streets in the Meatpacking District. "What's made me so happy is that I like the new park better," he says. "The design influences the way people interact. "I always notice when you're up on the High Line you see people holding hands. And you don't see that, just in people walking down the street. New Yorkers don't do it. But on the High Line they hold hands, and so I think that's the testimony of it really working."